Vehicle pricing includes all offers and incentives. Tax, Title, Tags & $499 not included in vehicle prices shown and must be paid by the purchaser. While great effort is made to ensure the accuracy of the information on this site, errors do occur so please verify information with a customer service rep. This is easily done by calling us at 270-875-4432 or by visiting us at the dealership. *****Online selling and/or asking price may include lender subsidized discount savings which require the purchaser to finance with one of our lenders. Ask your sales professional for more details. 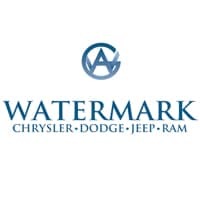 Watermark Chrysler Dodge Jeep RAM	37.3519369, -87.4843321.